Graduated from the Istituto di Architettura di Venezia (1989). She has been a visiting professor at Harvard, Columbia and Barcelona ETSAB universities and in 2004 she received an honorary doctorate from the Faculty of Arts and Social Sciences, Edinburgh Napier University, Scotland. She has been part of juries around the world, e.g. the Prince of Asturias Awards and the Pritzker Prize. Her work received the Catalan National Prize in 2002, the RIBA Stirling Prize and the City of Barcelona Prize in 2005 and 2009, the National Spanish Prize in 2006, FAD Prizes in 2000, 2003 and 2007, the RIBA International “Best International Building of 2011” and the 2013 RIBA Jencks Award. She currently acts as Director of EMBT Miralles Tagliabue, founded in 1994 in collaboration with Enric Miralles, based in Barcelona and, since 2010, in Shanghai. 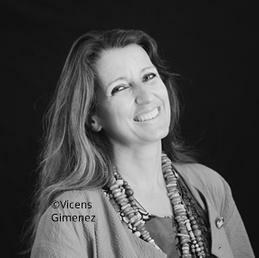 She is also the director of the Enric Miralles Foundation.